The newest TOUS store is located on the first level at The Mall of San Juan. Jewelry store TOUS, headquartered in Spain, announced Tuesday the opening of its eighth store in Puerto Rico. With the help of its local partner, Reinhold Group, TOUS will arrive at The Mall of San Juan on May 11, in time for Mother’s Day. During the opening ceremony, customers will be able to get a glimpse of the new TOUS pieces launched for Mother’s Day and will receive a gift when making a purchase during opening weekend. The “Medallions Mamá” invites customers to write their own story through memories, moments and feelings. The Medallions in pendants and charm bracelets are available in silver, silver vermeil rosé, mother of pearl, and mother of pearl with yellow gold. TOUS has seven stores in Puerto Rico in San Juan, Carolina, Bayamón, Hatillo, Mayagüez and Ponce. 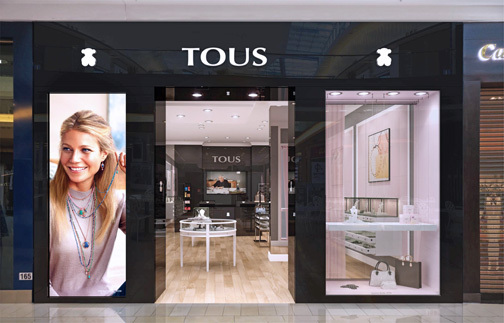 Hey Buddy!, I found this information for you: "TOUS to open newest store at The Mall of San Juan". Here is the website link: https://newsismybusiness.com/newest-store-mall/. Thank you.